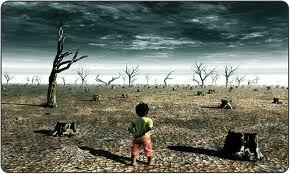 Irreversible and severe damage is being inflicted on the planet from climate change. Science tells us we are responsible. are bequeathing the children of tomorrow. The evidence is irrefutable. make two world wars by comparison seem superfluous is deplorable. simplest test. But then I suppose a lot of people share my ignorance. But we can all apply the principle of common sense. appreciative society are religion and climate science. science. Given the state of our world religious people might well ask. life experience tells me. It is not difficult to understand a theory. In the scientific world, a theory is something that has evolved to fit known facts. place business, ideology and profit before environmental sustainability. when it comes to climate science. ourselves but are happy to delegate this task to climate scientists. Laypeople simply do not have the knowledge to adjudicate on the issue. deceptive lying in that he defamed some white skinned aboriginals. One has to wonder how many he has told when writing about his favorite topic climate change. or expertise in climate science. But surely, we must respect the science otherwise; you put into question all science. understand the reason for the internet or indeed its value to society. always had droughts and always will. research and other institutions within the framework of government. Even the science ministry itself. penalty if they don’t. This method has no credence among professionals. Indeed, Abbott has not produced one economist in support of direct action. The world faces threat to food supply, conflicts over water rights and growing inequality. The only option is to cut emissions. spikes, could lead to unrest. of government’s efforts to protect people from future climate change. people to claw their way out of poverty. relocations, and other measures that can keep people out of harms’ way. 5. Hard but not hopeless. what needs to done to insulate people from more severe consequences. American Secretary of State John Kerry had this to say after reading the report. way of life are literally in jeopardy,” Kerry said in a statement. But the question remains will we? If we accept the Australian Prime Ministers response the answer can only be an emphatic NO. Further reading. The effect on food supply. What they IPCC chief had to say and how deniers reacted.